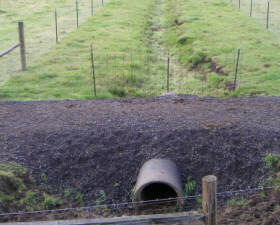 Hardened livestock crossings help to eliminate livestock from having to cross through creeks, streams and other water sources. 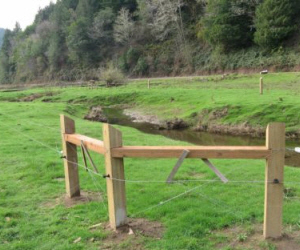 The Umpqua Soil & Water Conservation District is committed to a number of conservation projects. Impacts to water quality from adjacent land uses can be identified and improved with practices. Information on current Water quality rules and standards are available with consultation. 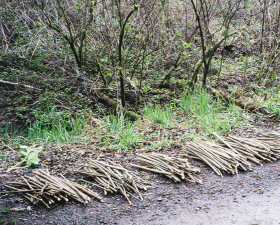 Restoring native vegetation improves watershed health and all organisms that depend on them. A properly functioning watershed yields many benefits to fish, wildlife and humans. Invasive species like gorse, knotweed, scotch broom and blackberries take over and compete with native vegetation. These unwanted weeds also invade usable land and are tough to eradicate. Lack of vegetation and bank stabilization will result in soil erosion and excessive sedimentation. Contact us today to see how we can help with soil and stream bank stabilization. Our Noxious Weed project focuses on identifying large infestations of noxious weeds and mapping out sites for future eradication efforts. Our Tide Gate Project focuses on locating and monitoring tide gates for proper function. If you know of any large plots of noxious weeds or are aware of tide gate locations, please contact us at 541.662.1341.